Questica’s budgeting, performance and transparency software solutions can move your organization to the top of the class. The school of the future is transparent and accountable. 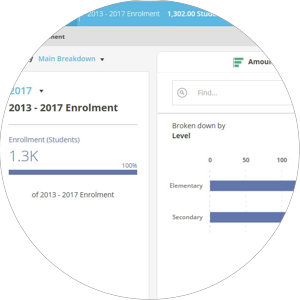 Questica’s K-12 school data visualization software is key to building transparency and trust. We’re all about communicating data in a visual way. Explore your financial and non-financial data with interactive charts, tables, graphics with descriptive text and informational pop-ups. 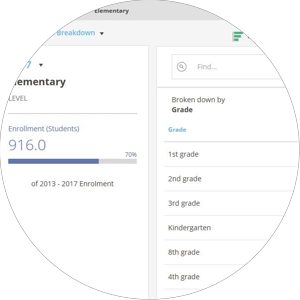 Your school’s stakeholders can easily find information with our search, sort and filter options. Explore OpenBook sample visualizations now. Communicate with boards, teachers and parents for better conversations. Sample data visualizations are available on our Open School website. Drill down to a budget line item with our search, filter/sort options. Quickly find what you are looking for with our built-in search. OpenBook can help you engage more effectively to tell your organization’s story. Transparency enables better ideas, better conversations and better financials. Is your school ready for better? 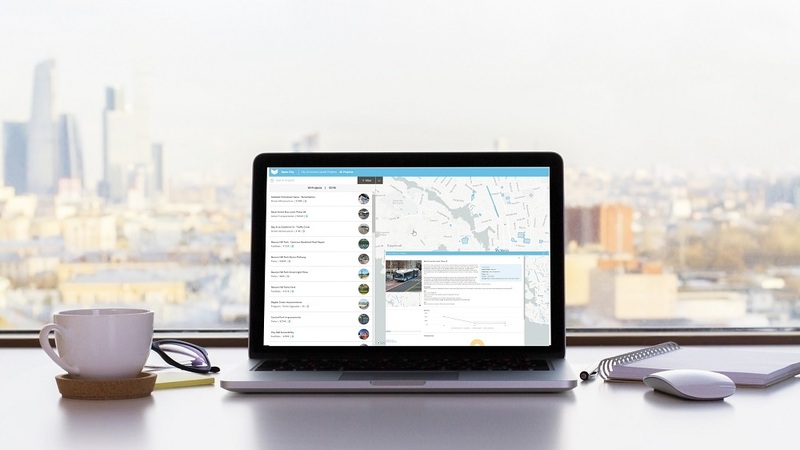 OpenBook now seamlessly connects to Questica Budget’s Capital Budget module bringing the ability for K-12 schools to display capital projects on an interactive map. 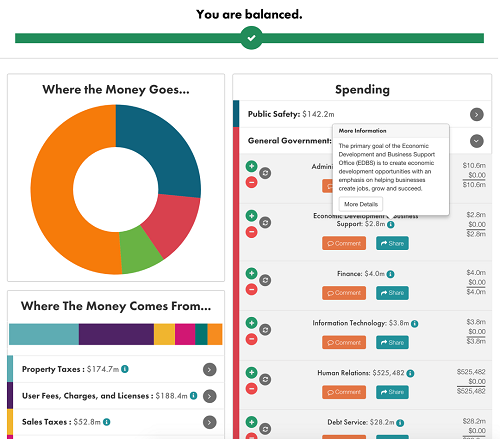 The OpenBook Project Explorer allows schools and districts to display on a map every infrastructure project, including the budget, actual spend, funding sources, and accompanying documentation, images, video, etc. Schools can also link related activities to showcase the depth and scope of capital projects that are happening in their communities. By sharing your school’s information in user-friendly format. Work with internal partners like board members, trustees, superintendents, faculty and staff. Or connect with parents, students, community leaders and media. We take incredible pride in delivering an exceptional customer experience for each of our customers. Our goal is to get your school up and running with little to no disruptions. Throughout the process, we listen, adapt and always uncover ways our tools and technologies can improve your school’s outcomes and enhance our future offerings. Demo one of our education data visualizations. Connect with one of our K-12 School OpenBook experts. 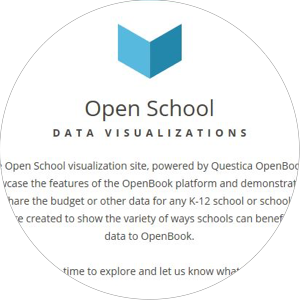 Our team can show you how Questica OpenBook will help your school share and engage. Set up a personalized demo with one of our experienced team members or sign-up for one of our free information sessions. The next one’s on May 15, 2019.